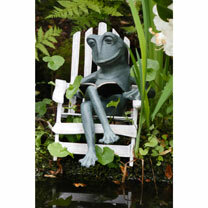 An eye-catching decoration for your garden! 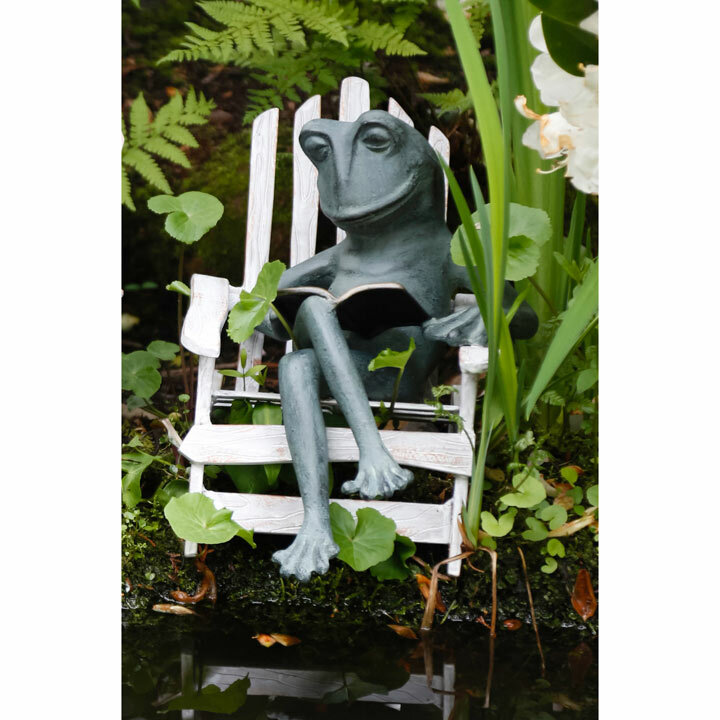 This frog is relaxed in his garden chair and looks deeply absorbed in his book. Made of high-quality aluminium. Height 24cm, depth 39.5cm, width 26cm.